There is just no stopping Instagram. It went from simply being a photo-sharing app to a ubiquitous and effective marketing tool, after being acquired by Facebook. For instance, over the past year, the brand has been focusing heavily on vertical video content in the form of Instagram Stories and IGTV. Instagram Stories currently has 400 million daily average users, overtaking the total number of Snapchat users. This year, you can expect most of Instagram’s new features to be related to these two. If you’re planning your 2019 Instagram marketing strategy, here are a few new features to take note of. You may have noticed these on plenty a New Year’s Eve Instagram Story posts, but for marketers, this Countdown Sticker would find more purpose than a New Year’s countdown. For instance, marketers can use this to create teasers to build anticipation for upcoming events such as sales, big events and discount days. Make countdown stickers your own by adding a title, specific date and color. But, the best thing about countdown stickers is that they can be shared in users’ Stories. Users can tap on the arrow in the corner of your sticker to share the countdown to their own Stories, or be reminded of it. You’ll receive a notification whenever someone selects the ‘Reminder’ option, but if you have under 50,000 followers, you’ll get a notification via DM instead. To access this feature, tap the Sticker icon on your Instagram story and click on the Countdown sticker. Since Instagram engagement on posts has gone down, marketers believe engaging through Instagram Stories is the way to keep your brand at the top of your customers’ heads. The Questions sticker on Instagram may just be one of the best Instagram Stories features to help you do so. At first, it seemed like a way for celebrities and influencers to connect with their followers, but brands can also use this feature as a way of engaging with their followers through surveys and giveaways. The Questions sticker allows people who viewed the Instagram Story to answer a question. The poster can see all the responses, and have the option to reply to them once viewed. Note that once you reply to the response, viewers will not be able to see the username of the person, just their response text. The Questions sticker is now also available for Instagram Live. And recently, Instagram has made it possible for users to include music responses as well. The Close Friends list is another new Instagram Stories feature that is available for both personal and business accounts. It allows users to post stories for a select few of their friends. It appears as a green (instead of pink) circle on your account or on your friends’ feeds. Although one may think that this has no use to brands, they can be leveraged to give your top-tier or most loyal followers exclusive content. To use this feature, create a Close Friends list by tapping the three-lined icon on your personal page and choosing your close friends. Once you have a list, tap the “Close Friends” icon beside the “Your Story” one at the bottom of your story to share the post. Instagram understands that a person can be handling several Instagram accounts at one point–there’s your personal Insta, Finsta (fake Instagram), and business account, among many others–and has made it simpler for users to post the same photo to several accounts at a time. Usually, users have to log out and log into another account to post photos to the other account. If you’re posting the same photo to several accounts, this new feature would save you some time. However, critics say that this goes against Instagram’s tenet for original content (they still don’t have a native ‘regram’ function, afterall!) and recommend using this feature only if your multiple accounts have the same audience and feel. For now, this feature is only available so far for iOS users. You can access this feature at the Instagram iOS composer screen by toggling the switch to post to several accounts you’ve previously logged into. In an effort to make Instagram more accessible to all people, Instagram has introduced alternative text descriptions. Anyone familiar with blogging and SEO will have heard about alternative text (or commonly referred to as alt text). It’s a word or phrase that can be inserted as an attribute into an HTML document to tell web viewers the nature or context of an image. The alt text usually appears in a blank box that would normally contain the image. This feature helps with accessibility, especially for the visually impaired. Those with screen readers can have the alt-text descriptions read to them to give them context. Instagram’s alt-text feature comes in two options: Automatic and Manual. The automatic option relies on Instagram’s object recognition technology (reminiscent of Facebook’s facial recognition software) to create audio descriptions of their own, while with the manual mode, you have the option to add your own descriptions before posting your photo. This may take longer, but ensures that the description is more accurate and it highlights what you want to showcase. This feature is available for photos on an individual’s Instagram profile and feed, as well as the Explore page. The side-scrolling feed view will probably take the record as the fastest Instagram update that lasted. Due to a bug, Instagram accidentally rolled out the massive update and Instagram users took to Twitter to express their opinions about it. Instagram wanted to test a way wherein one could move between posts while ensuring they stayed in full view. Compared to scrolling, it can take some adjustment to ensure that the top or bottom of the post isn’t cut off. But, because of the backlash, they may not release this feature anymore. 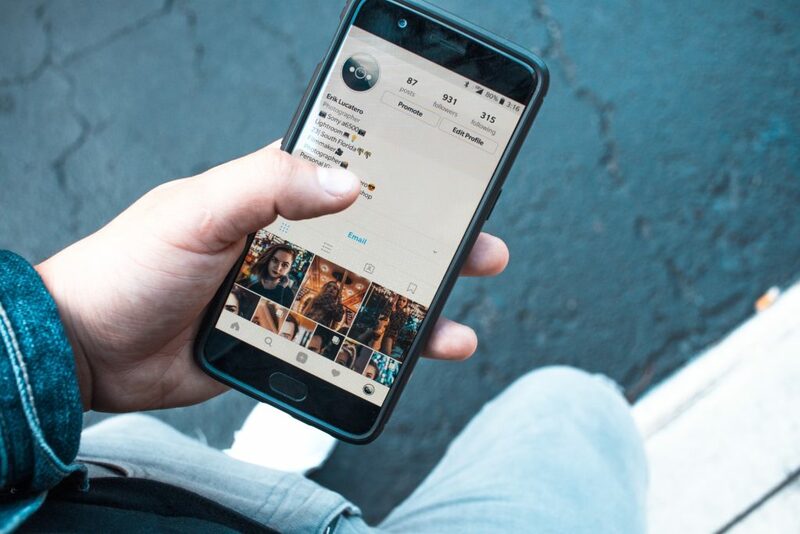 Instagram is banking on the popularity of the influencer (the influencers came from Instagram, afterall), and are coming up with features that will help high-profile influencers. It is rumored to be called “creator account”, and give influencers information similar to what they would receive with an Instagram business profile. The only difference is that they would be receiving more in-depth analytics on growth and activity. With the new creator account, owners would receive in-depth data about new follows and unfollows, because before this, all accounts would receive single notifications if someone followed them. Additionally, the new creator account would be able to filter out personal DMs from business-related ones, as most influencers have one account for both business and personal use. So, there you have it, the new Instagram features you can use for your marketing strategy in 2019. Which one is your favorite?